Cinémathèque Française legend Henri Langlois makes the distinction between a cinéphile and a cinéphage. While both are avid consumers, the cinéphile discriminates, critiques, and rigorously evaluates what he considers “good art”, while the cinéphage, in short, is just happy to be here. Although I am incredibly critical with films when it comes to quality, I also acknowledge that the issue is much more complicated than that. I have hated films that, objectively speaking, were well-made, and I have loved films that, on an intellectual level, I knew were terrible. - the ones which, by all arguments, are not. They are incredibly tacky, downright nonsensical, challenge all credibility — and I love them. For as long as I can remember, I’ve been drawn to so-bad-they’re-good films; whether they are self-aware or not makes no difference. There’s something intoxicating about them, wholly different from the spell cast by beautiful films. I’ve devoured cheesy Lifetime dramas in the same breath as I’ve rifled through Mike Leigh films, have relished the logic-defying Disney Channel Originals with the same enthusiasm I’ve accorded to Studio Ghiblis and Satoshi Kons, have ruthlessly ripped into the Twilight series, but lit up every time the opening credits flashed on my TV screen. I will stop whatever I’m doing for a Nicholas Cage marathon, cringing hard while I rub my hands in anticipation of the fun I’m about to have. I’ve loudly bemoaned the lack of genuinely scary horror films over the years, but will take the campy Stephen King offerings of the 80’s and 90’s, swimmingly. I’ve sung the praises of Takashi Miike and Takeshi Kitano, but prowl for those, on the fringes, that test the limits of common sense (looking at you, Robogeisha (2009)). I will quote Austin Powers films at the drop of a hat, will gladly partake in Face/Off (1997) reenactments, and consider Spice World (1997) to be the greatest cinematic achievement of the 90’s. Bad films are more than simply background noise or forgettable insomnia buffers, to me. It’s beyond the guilty pleasure, way past the shamelust. I’ve come to genuinely cherish these films, as much as I enjoy my arthouse indies and my cinematic masterpieces. I chide and mock them the way I would gently poke fun at an eccentric friend who could not care less what I thought about them. I would probably take them with a grain of salt, but I’d enjoy their company nonetheless. Maybe it’s that — in the same way some people need trash television to offset the gravity of moody, carefully crafted miniseries (and I’ve certainly been guilty of that, too) —, these films give me a break from the constant stream of “quality” cinema. And in a way, it makes sense. There wouldn’t, after all, be things like “B Movies” if there wasn’t a certain order, so to speak. They seem content with being the stooges to bigger, better films, as long as they get a seat at the table, and as long as we’re all having fun. But there’s something more to it. Films like The Room (2003), and the subsequent The Disaster Artist (2017) prod at something we’ve all tacitly understood: there’s something to behold in the bewildering trainwreck of a work of art, something that stays with us long after we’re done. This is how cult films are made: through re-appreciation or rediscovery. In the former case, a film that, initially, barely made an impression, is slowly unearthed, and gains a passionate following (Pootie Tang (2001), Christine (1983), The Rocky Horror Picture Show (1975)); in the latter, a widely derided film becomes an affable punching bag, once all the vitriol dies down (Glitter (2001), Crossroads (2002), Coyote Ugly (2000)). Not only are cult films interesting slices of insight into the worst the times have to offer — like a fascinating time capsule of their respective eras —, they also challenge the notions of what we consider Objectively Good and Objectively Bad by proving once again that seemingly set opinions are, in fact, fluid. In other words: the age-old “good art" debate is put in even sharper relief when it comes to film, because unlike some types of music (there’s no such thing as an earworm film, a 3-minute, perplexing sonic mystery that is easier to defend or criticize), movies demand a slightly more in-depth reasoning as to why we liked them or not. One could praise the cinematography, but absolutely hate the acting. One could like the script, but have scathing opinions regarding the score. And so on, and so forth. Ultimately, it comes down to talent, this most elusive of notions. Gifted filmmakers are able to successfully render a striking, original idea from their imagination to ours. But even then, talent is not enough. Critically lauded films don’t happen at the snap of a finger: they require dedication, knifelike focus, ruthless objectivity, a critical eye, the willingness to be subjected to others’ critiques — and all of this having to appeal to more than one person, on some moderately deep level when it’s done. When it succeeds, it is like nothing else, and there’s a wonderful sense of community when we can all agree on a film that collectively blew our minds. Having said that, when it comes to the reception of “good” films, similar things are often echoed: pretentious. cerebral. inaccessible. It’s not that they can be elusive; this is a matter of debate and personal taste. Rather, it’s the fact that when people do not like films that are considered highbrow, they are accused of simply not “getting it”. True, it’s commendable when filmmakers churn out work that is very personal to them, work that is true to their unique vision, whether it entices a wide audience or not. But when this inaccessibility is used as a gauge to separate those who understand art and those who do not (read: those who deserve art, and those who do not), therein lies the problem. Divisive films like mother! (2017), Inception (2010), The Tree of Life (2011), Love (2015), Melancholia (2011), and so forth have benefitted from that gauge: there were those who liked it, and those who just didn’t “get it”, and there was nothing to justify beyond that. And this brings me back to the tired conclusion: discerning between good films and bad ones is less objective than would-be authorities on films maintain. Maybe the five examples I mentioned were great; maybe they were terrible (I personally feel very differently about each of them): but somewhere along the way, I’ve noticed that I’m no longer interested in participating in the debate. Does this make me any less of a cinephile? Does it even matter? I’ve come to realize that it’s the palpable passion in these bad movies, not their quality, that makes me look twice. Whether they succeed almost doesn’t matter: in fact, it’s almost best that they do not, as long as their intentions are in the right place. These films, unlike those made by talented filmmakers, are not concerned with impressing, with being deep and philosophical: and precisely because of that, they are refreshing. It is humbling to watch them touch so many people, more people than critically acclaimed films even do at times, even if it’s through soft derision and general scorn. It is a gentle reminder to check our egos, we who take ourselves so seriously, and think we work harder than the rest. We’ve been feeding the Tortured Artist myth for far too long: and I, for one, and ready for it to stop. There is something liberating about seeing others do whatever the hell they want, to watch them throw their cards on the table, bare their vulnerable souls, open themselves to being ruthlessly mocked and criticized. It’s liberating to hear Michael Bay tease “I mean, relax, it’s a popcorn movie. It’s not supposed to be taken seriously”, when talking about his own work, where others would have gone to war with critics in defense of their genius and artistry. For every Wes Anderson, there’s an M. Night Shyamalan; for every Spike Jonze, there’s a Tyler Perry; an Ava DuVernay for every Frank Coraci, a Sofia Coppola for every Tommy Wiseau. People, in short, who makes us shake our heads in bewilderment, and whisper, half-disgusted, half-awed: what in the world were they thinking? We may never like them, we may never respect their films, but we can certainly admire them for their refusal to accept the following: that they must be shown the door for "lack of talent", even if they have love and passion to match their peers’. 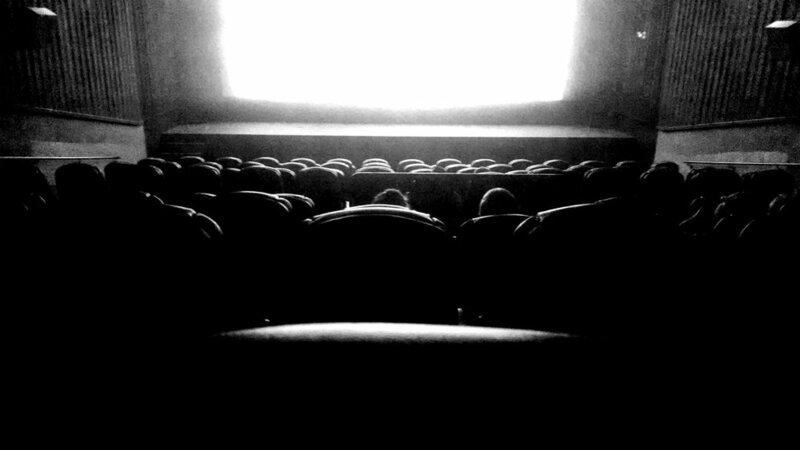 Hence, while I voraciously defend some of the best offerings of the silver screen, and nurse my undying love for cinema from across time and space, I save a seat for the deliciously terrible ones, the so-bad-they’re-good films borne out of sheer, endearing enthusiasm. I say: give me all your trashy rom-coms, your cringey action flicks, your messy historical dramas. Hand over your Sharknados, your High School Musicals, your gut-busting Nollywood films. When I feel blue and my anxiety-addled brain can’t compute sophisticated ideals, exquisite social satires and profound human dramas, I’ll gladly chuck them aside, settle in front of Batman & Robin (1997), and hate-watch it, while having the time of my life.